A week from Thursday, June 11, I’ll be talking about the H5N2 bird flu outbreak here in the Midwest at the Institute for Agriculture and Trade Policy in Minneapolis. Find out the details here. All are welcome. In its efforts to protect a $265.6-billion-a-year industry, the poultry sector has laid blame upon farm workers and wild waterfowl. 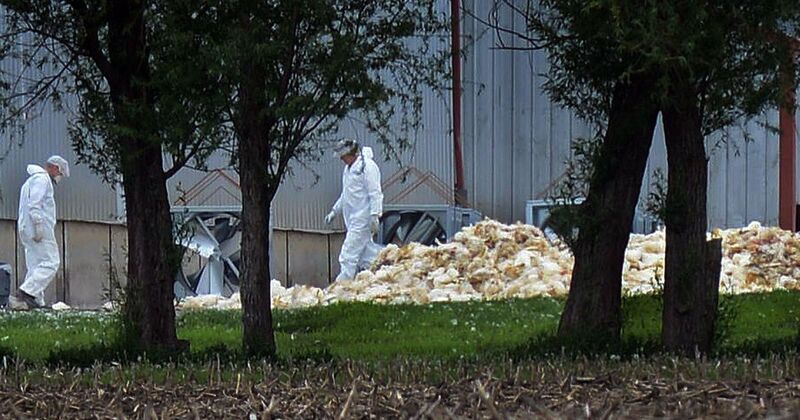 In actuality, H5N2 demonstrates poultry production is defined by inherent diseconomies of scale it survives solely by externalizing the resulting damage to consumers, workers, governments and the environment. In a market economy, such costs, moved back onto company margins, would end the industry as we know it. We will review the mechanisms by which poultry’s bioeconomics is thought sooner than later to select a deadly disease with the potential for killing millions of people worldwide. We will also address what an alternate food landscape might look like. You can find a video of the half-hour talk here.